Lisa Moyer’s dedication and passion for her work as the Long Term Living Program Supervisor for Blair Senior Services, Inc. shows just in the number of years she has worked for the Agency. 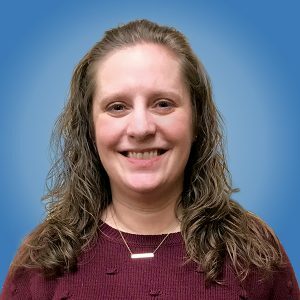 Lisa started at Blair Senior Services, Inc. as a Care Manager in the Options Program 19 years ago and has worked her way up through the department in various supervisory roles into her current position. In her position, Lisa directly supervises the Options, Caregiver Support, Intake, Ombudsman, and Choices Programs. In this capacity, Lisa oversees staff, participates in various groups and committees, and does some administrative work. Lisa stated that the Ombudsman Program is always in need of volunteers to help with visiting the facilities. “We very much appreciate our volunteers. I encourage you to call if you feel you have skills and talents that you can contribute to this program.” If you are interested in volunteering for this program, please call 814-296-6336. 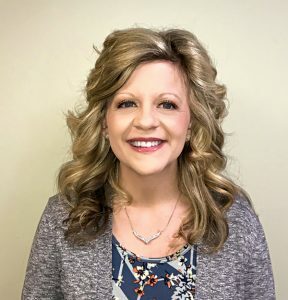 Jaime Rose has been working for Blair Senior Services, Inc. for over 7 years. 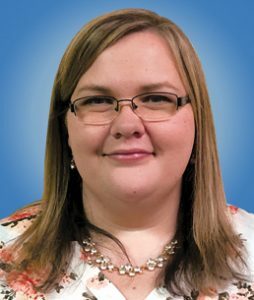 She went to school at Shippensburg University and worked in another county for two years in the Ombudsman Program and other programs. She moved back home after being hired at Blair Senior Services for a position in the Aging Waiver Program in April of 2011. In July of 2011, Jaime moved into the Ombudsman Program. Jaime is the Blair County Long Term Care Ombudsman. In her position, Jaime visits 43 long term care facilities. The Ombudsman visits with residents to determine if their rights are being upheld, needs are met, and concerns have been resolved. “No problem or concern is too small! The Ombudsman will help to resolve the issue,” states Rose. Jaime stated that the Ombudsman Program is always in need of volunteers to help with visiting the facilities. “Without our volunteers, this program wouldn’t be so successful. They truly make a difference and I appreciate every one of them” she stated. If you are interested in volunteering for this program, please call 814-296-6336. Tina Fultz has been working for Blair Senior Services since December 2012, when she applied for a position open with the Agency. Tina stated that Blair Senior Services, Inc. is always in need of volunteers. She is always looking for volunteers at the Northern Blair Senior Center to help in the kitchen with cleaning and cooking. Also for volunteers to help teach a craft class, crochet class, etc. If you are interested in volunteering for this or for one of the many Blair Senior Services, Inc. programs, please call 814-946-1235. Scott Moyer has been working for Blair Senior Services, Inc. for almost 2 years now. He initially applied with the Agency as a van driver, but ended up working in the Apprise Department and helping with consumer education activities. Scott meets with consumers regarding Medicare options and provides them with information and knowledge so they are able to choose the plan that is best or make informed decisions when changing their current plan coverage. 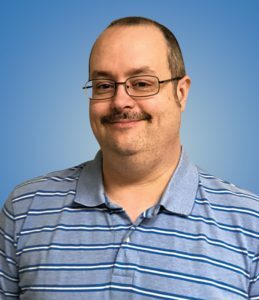 Scott’s favorite memory thus far was the warm welcome he received from the staff when he first started with Blair Senior Services. If you are interested in volunteering for one of the many programs at Blair Senior Services, Inc., please call 814-946-1235. Craig Russell has been working for Blair Senior Services for nineteen years. 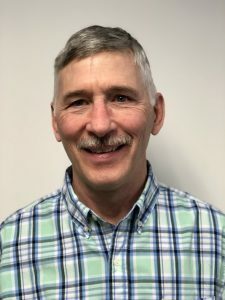 He initially began his employment as a part-time Van Driver for the Transportation Department in Hollidaysburg. Craig added to his responsibilities with becoming a part-time Mechanic for Transportation as well. Over the years, his duties have increased and he is now the Operations Supervisor in the Transportation Department. In addition, Craig encouraged others to consider either volunteering or possibly working for the Transportation Department saying, “Blair Senior Services is providing such an important service to many people in our community that this is their only means of transportation. It is a very rewarding experience as a person to know that every day you are making a difference in someone’s life.” If you are interested in volunteering or working for one of the many Blair Senior Services, Inc. programs, please call 814-946-1235. 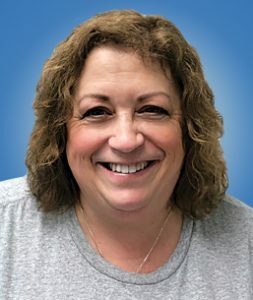 Angel Dandrea has been working for Blair Senior Services, Inc. for approximately 12 years. She initially began with the Agency as a college intern during the summer of 2002 in the Care Management Department. Angel realized that Blair Senior Services was a place that she wanted to work someday. Upon graduation, she applied for a job opening and was hired. 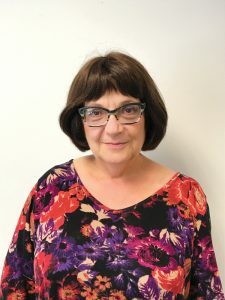 She currently supervises and works directly with the Senior Centers, Congregate Meal Program, and Foster Grandparent and Senior Companion Programs. Bernice Newberry has been working for Blair Senior Services for 30 years. She initially began her employment in Care Management, which she still does, but she also works in Protective Services. Bernice said that she would encourage others to volunteer or work for Blair Senior Services, Inc. saying, “Blair Senior Services is always in need of volunteers and is a great place to work. It takes a special type of person to work for us. It is an Agency where everyone truly wants to help the elderly and to make their lives a little better with one of our many programs. There is no better place to work and know that you made someone’s life a little bit better by helping them out of a situation or to stay in their home!” If you are interested in volunteering for one of Blair Senior Services, Inc. programs, please call 814-946-1235. Stephanie Sanford has been working for Blair Senior Services for three years. 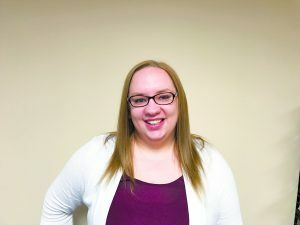 She initially began her employment as a Transportation Assistant at the Transportation office in Hollidaysburg, then saw the job opening for her current position as Domiciliary Care Coordinator, which she felt better utilized her degree. She has held the position for a little over two years now.